PENELOPE has an impressive following in Australia and overseas and has captured her audience through her exuberant performances that feature her deep passion for people and issues, presented with emotional honesty and a social conscience. PENELOPE turned to songwriting at the age of 16 when she was homeless, living in poverty and supporting herself by busking. Forged on the streets of Sydney and Melbourne, her songs developed an authentic edge that only personal experience can supply. These experiences were reflected on her first album BETWEEN LIGHT AND DARK. In 1995 PENELOPE released her second album, a double set RETURNING ON FOOT. A story of journey and homecoming, this recording revealed her transition between the disintegration of a marriage and the finding of a new personal wholeness. 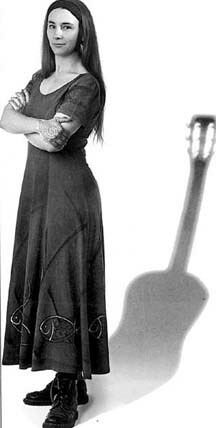 A popular artist on the Australian folk scene, PENELOPE has performed at every major festival.